Maybe you mousing hand needs a break, or perhaps you need to move the mouse pointer one teeny-tiny pixel at a time. In either case, there’s a way to move the Mac mouse pointer with the keyboard rather than nudging the mouse or swiping your trackpad. 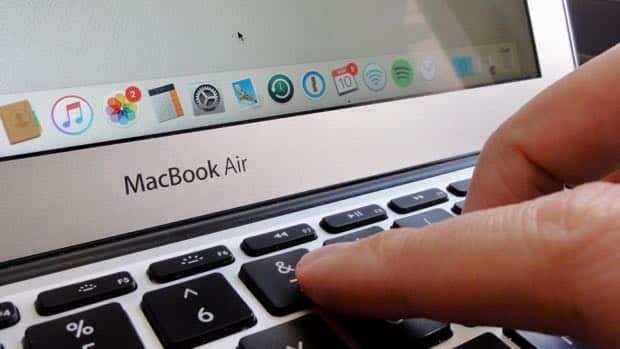 The trick: turning on a Mac feature called Mouse Keys, which lets you move the Mac mouse pointer by tapping the keys on your numeric keypad—or, if you don’t have a separate numeric keypad, by pressing a set of keys within the keyboard itself. To get started, open the Mac’s System Preferences panel by clicking the Apple menu in the top-left corner of the screen, then select System Preferences. Next, click Accessibility, select Mouse & Trackpad in the left column, then check the Enable Mouse Keys checkbox. The Mac’s Mouse Keys feature will let you move your mouse pointer using a numeric trackpad—or, if you don’t have a trackpad, you can tap keys on the keyboard itself. Now, let’s give it a try. If you have a numeric keypad, press the “8” key to nudge the Mac mouse up a tad. The “2” key will move the mouse down, while the “4” and “6” keys will move the mouse left and right, respectively. 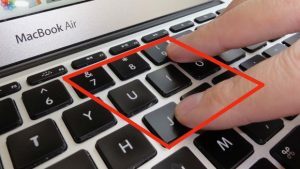 The “7,” “9,” “1,” and “3” keys will move the Mac mouse up and to the left, up and to the right, down and to the left, and down and to the right. Press the “5” key to click the mouse, click “0” to click and hold the mouse button, and press “.” to release the mouse button. What if you don’t have a numeric keypad for your Mac? No problem; instead, use the box of nine keys bordered by the “7,” “9,” “J” and “L” keys. You can also press the mouse button by tapping the “I” key, tap “M” to press and hold the mouse key, and press “.” to release the mouse button. Sounds easy, right? Well, here’s the catch: when Mouse Keys are enabled, you can’t use the assigned Mouse Keys for anything besides moving the mouse—in other words, no typing, which is particularly vexing if your Mouse Keys are smack-dab within the keyboard. Luckily, there are a couple of shortcuts for turning Mouse Keys on and off. First, you can press a specific keyboard combo—COMMAND + OPTION + F5—to open the Accessibility Shortcuts menu. From there, you can quickly turn the Mouse Keys feature on or off. With the right setting enabled, you can toggle Mouse Keys on and off by tapping the OPTION key five times in a row. Even better, though, you can toggle Mouse Keys on and off by pressing the OPTION key five times in a row. 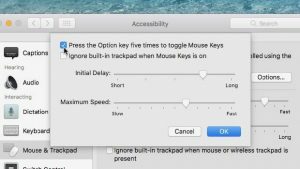 To do so, head back to the Mouse & Trackpad settings within the Accessibility preferences pane, click the Options button, then check the box next to the “Press the Option key five times to toggle Mouse Keys” setting. The Options panel also has a couple of sliders: one labeled Initial Delay, and the second marked Maximum Speed. These sliders control what happens when you press and hold a mouse key to repeat a mouse movement. Move the Initial Delay slider from Short to Long to change how long it takes for the mouse pointer to start moving after you press and hold a mouse key, or fiddle with the Maximum Speed slider to control how quickly the mouse can move while you’re holding a key. Finally, trackpad users can disable the trackpad while Mouse Keys are enabled by checking the box next to the “Ignore built-in trackpad when Mouse Keys is on” setting.